Insider Look at First Fridays! 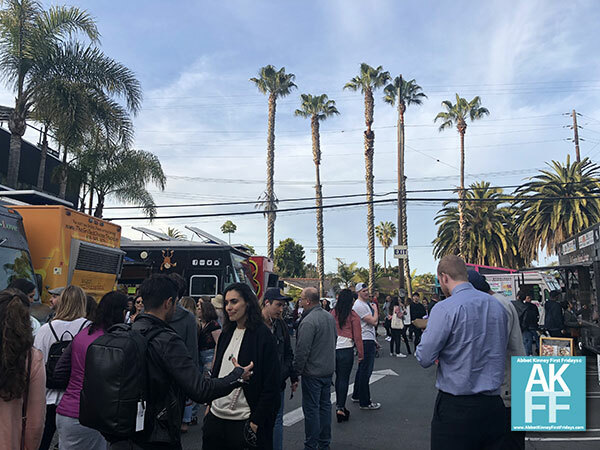 If you went to First Fridays on Abbot Kinney, you know how good it is with all the tasty food options from the food trucks! If you didn’t, we’ve got the inside scoop right here for you with highlights from April 2 2018, Abbot Kinney First Fridays in Venice! 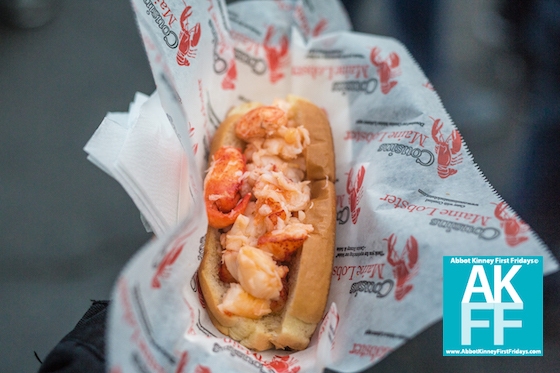 This is a true delight from Cousins Maine Lobster. More is more at First Fridays! 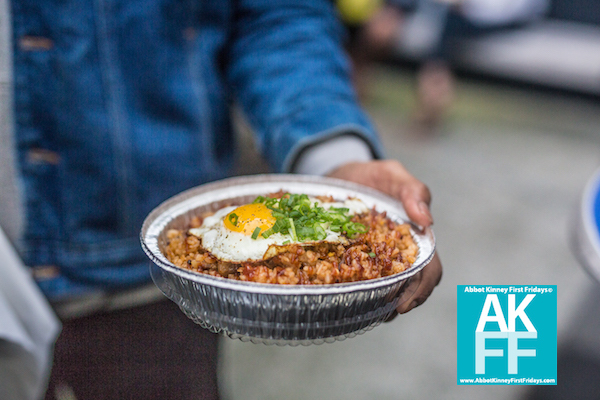 Show us your snaps on Instagram @abbotkinney first or share on the AKFF Facebook page. Food trucks lined the side street off of Abbot Kinney. We like the fun graphics on the Word of Mouth truck. Did you eat their food? If so, how did you like it? Let us know by replying to our post or on our social media. Check this combo out! Fried egg on pasta…hmmm… from Chubbee Monkee. If you eat enough of it you might turn into one! The night was young at The Brig parking lot before the crowds got huge! See our feature photo at top of this post for our @abbotkinney1st crowd closeup. 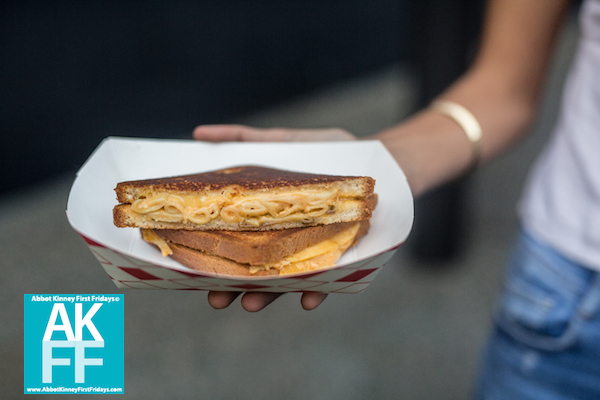 Grilled cheese is always a fave at 1st Fridays! Seen here from The Grilled Cheese Truck and eaten shortly thereafter! Check out more of our First Fridays photos and posts at our AKFF Blog Link. Find out about how you can save on food trucks, shopping, fitness every day! See our map of Abbot Kinney so you can plan for each and every First Fridays in Venice! 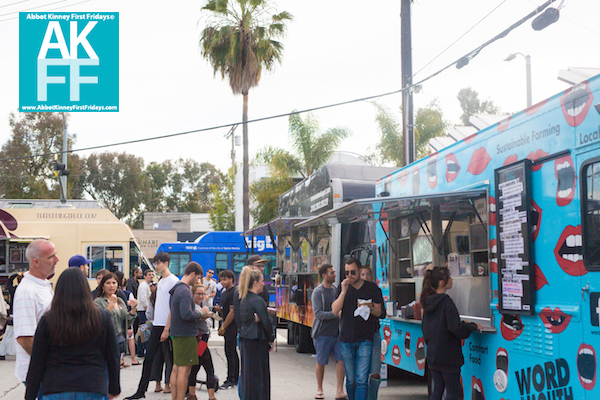 Food Truck Frenzy at Abbot Kinney First Fridays on April 6, 2018!